Heading to California to attend a food festival – now that is something that should be on every traveller’s bucket list. As a journalist who has started to write more about food, its gratifying to meet so many people passionate about what they eat. And in California, where the seasons are very different than what I’m used to in Canada, its amazing to see the wide variety of items – some that I often see on my grocery shelves, but happier to have them when I’m in the state. 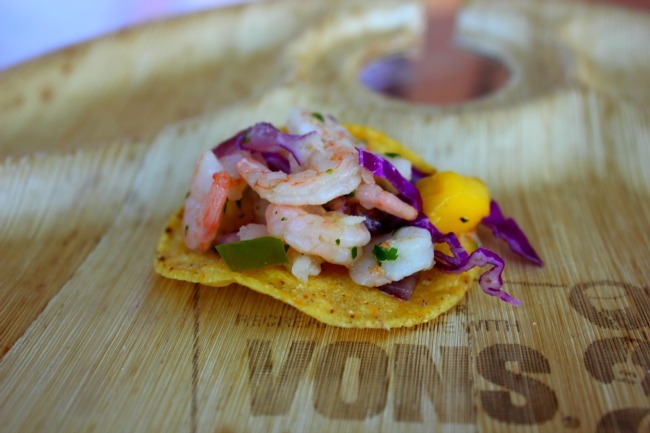 So as I started to wander the grounds of Sunset Savor the Central Coast, I was overwhelmed by choice – chef demonstrations, marketplace, wine tastings, produce sales and all kinds of information about all kinds of food and drink from Central California. So I decided to take it easy and go slow – with the temperature over 90F and the sun showing off its brightness, I was smart to constantly drink water as a I sampled. 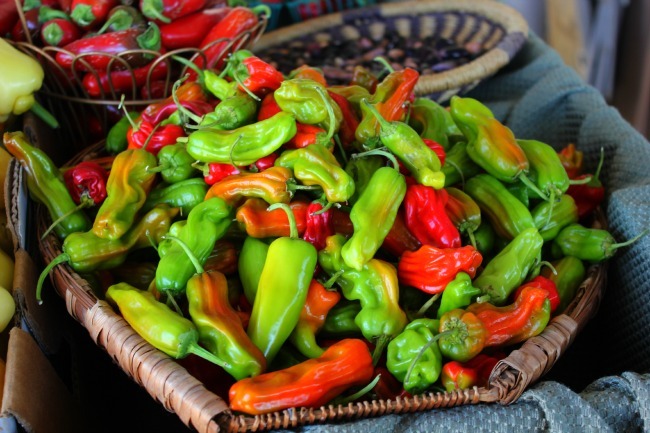 I stopped to chat to a local farmer about hot peppers – and so wished I could buy them. Not only did they look fantastic, but I got to taste too – my hot palate was satiated. Unfortunately, not something I should be bringing across the border. Although I kept tasting for several hours – and making notes as well as taking photos – I returned a few times for this appetizer – a lovely balance of fresh seafood, crisp coleslaw, mango and dash of heat. I realized the secret of the food festival – not just to taste amazing local cuisine, but to inspire us cooks to kick it up a notch in our kitchens. I’m committed to stocking my pantry with those things that I can’t get at home – bring on the hot sauces, spices and unique tastes – buying local is my strategy. As I write more about food, I hope inspiration kicks in when I’m trying to figure out what to make for dinner – and when it does, I’ll be sure to let someone else in on the discovery and share in my buy local, inspire the cook view of the world.